We helped purchase this property for the P-Patch Trust. In the process a covenant was put on the land to protect it in perpetuity, so that it can only be an open space or community garden — forever. After the purchase, we also helped the Friends of Hazel Heights and the P-Patch Trust with the design and construction grant writing. This is a wonderful story of neighbors and community members being ready to act when a good opportunity came along. A childless couple passed on, and their home became part of an estate to be distributed between 12 heirs in the mid-west. A nearby resident suggested to neighbors and the city that it could be a P-Patch, but was unable to find a way to acquire the land. We went into action looking for ways to make that possible. 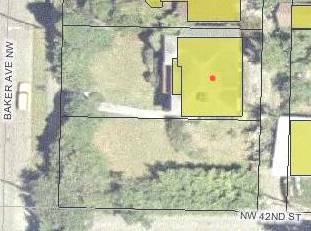 We got to know the lawyer for the estate and the executor of the estate, found a donor who offered to pay for the land and found a holder for the deed: the P-Patch Trust. Then we worked hard for a few months to work out the details of the purchase, which involved splitting up two properties and mitigating the risk of a buried furnace oil tank. It was tricky to make sure that no one was exposed to unreasonable risk. Hazel Heights is on the elevated SW-facing corner of NW 42nd St. and Baker Ave. NW with a view of the ship canal in Ballard. Rich McDonald and Hugh Tobin of the Department of Neighborhoods. The P-Patch was designed by Barker Landscape Architects who did a wonderful job of meeting the challenge of a steep hillside site. 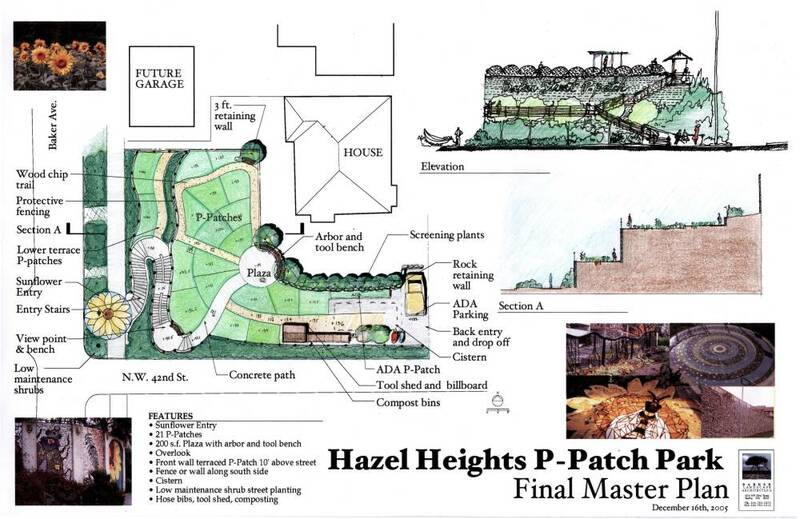 the Citt of Seattle’s P-Patch Program, the P-Patch Trust, or Hazel Heights.